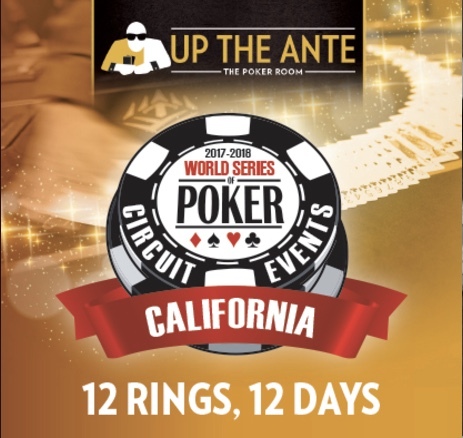 There's a @WSOP Circuit Ring to the winner of tonight's $365 Turbo - 10,000 stacks and 20-minute levels - and @JohnQTD just announced cards are now in the air for Event 2 in the series. Registration is open until cards go in the air for the start of Level 9 at about 9:05pm. There are breaks scheduled at the end of Levels 4 and 8, and then every two hours after that in this one-day tournament. Tables 1-6 are in the overflow tournament area in the hotel lobby in front of The Spa at Thunder Valley.